These Printed Eco friendly bags called as non woven bags are highly used all over the world. 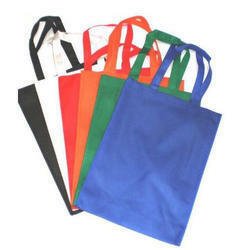 We are manufacturer, exporter and supplier of these non woven bags called as promotional eco friendly bags from India. We have with us an exclusive range of Eco FriendlyNon Woven Bags which are manufactured using eco friendly and reusable propylene. The offered bags are widely demanded in the market due to their salient features such as liquid & chemical resistance, dehumidifying nature, non toxicity, convenient usage and longer usage life. Specifications Size: 16" x 12" + 5"
With our rich industry experience, we are counted amongst the well-renowned firm that is offering Printed PVC Bags. 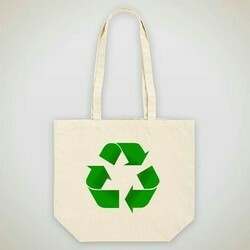 In line with clients' variegated requirements, we bring forth a distinguished collection of the Eco Friendly Bag.